The bluegrass state is the latest to face the issue. A bill proposing that adults don't need a permit to carry a concealed firearm is one step closer to passing in Kentucky. If it passes in the Republican-controlled state House of Representatives, Kentucky will become the third state to pass such a law in recent weeks. SB 150, which allows for anyone 21 or older who is allowed to legally possess a firearm to carry them concealed without a special permit, passed the Kentucky Senate on Thursday with a vote of 28 to nine. Kentucky is already an open carry state, which the Giffords Law Center, a gun violence prevention advocacy group, notes means the state has no laws prohibiting the open carrying of firearms. If passed, SB 150 would make it easier for people to conceal firearms within the state. State Sen. Damon Thayer, a Republican who voted for the measure, spoke to that distinction during the debate on Thursday. "All we’re saying is: Wearing a coat around over top of your legally carried firearm doesn't make you a felon," Thayer said, according to local station WLWT. 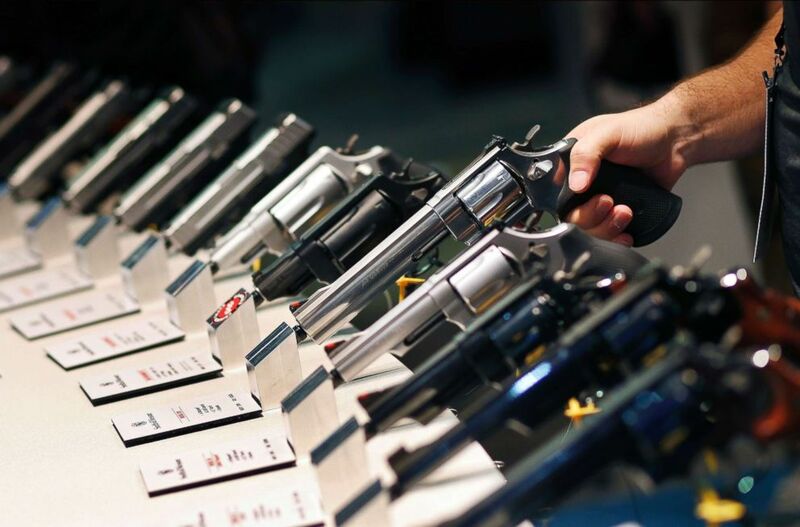 (John Locher/AP, FILE) Handguns are displayed at a trade show in Las Vegas, Jan. 19, 2016. The permit process in Kentucky involves an eight-hour training course from a certified instructor and typically costs about $75, according to The Lexington Herald-Leader. The debate in the Kentucky Senate -- which was the same day as the one-year anniversary of the Parkland high school shooting -- came the day after a similar permitless carry law passed in Oklahoma. Connie Coartney, a member of the Kentucky chapter of advocacy group Moms Demand Action for Gun Sense, was at the hearing and tweeted out a picture, writing that it was "hard to believe this is how the @KYGOP observes the worst school shooting in US history." Permitless carry, or "constitutional carry" as gun advocates call it, was also signed into law in South Dakota on Jan. 31 and will go into effect in July. Jennifer Baker, a spokeswoman for the National Rifle Association, told ABC News that in passing the law in South Dakota, it "became the the fourteenth state to enact this common sense measure allowing law-abiding citizens to exercise their fundamental right to self-protection in the manner that best suits their needs." "The NRA has constitutional carry bills moving through the Kentucky and Oklahoma legislatures where both governors have committed to sign the bills into law," Baker said.